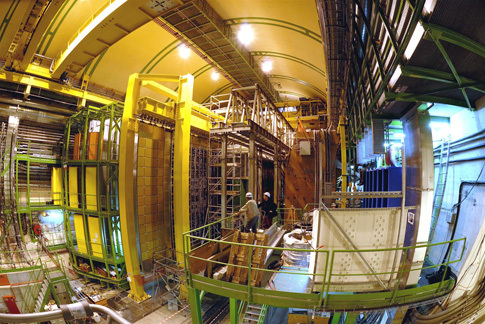 We joined the LHCb experiment at CERN on 27th November 2008 and since then have become one of the most active groups in the experiment. We have been collaborators in the BaBar B physics experiment since the Warwick EPP group was founded in 2004. More details can be found by clicking on the picture or on the heading above. We have a small involvement in the CLEOc experiment. Our interest is in making measurements of properties of CP-tagged D mesons that will enhance the sensitivity of current and future B physics experiments to the Unitarity Triangle angle gamma.